Dark green, feathery, aromatic foliage provides wonderful texture. 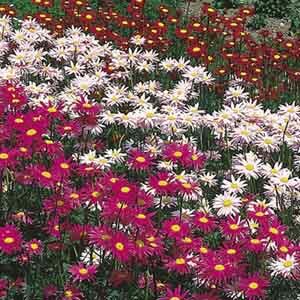 Cheerfully colored daisy blooms, with sunny yellow centers, complete the picture. Removing spent blooms will assure the most continuous flowering. 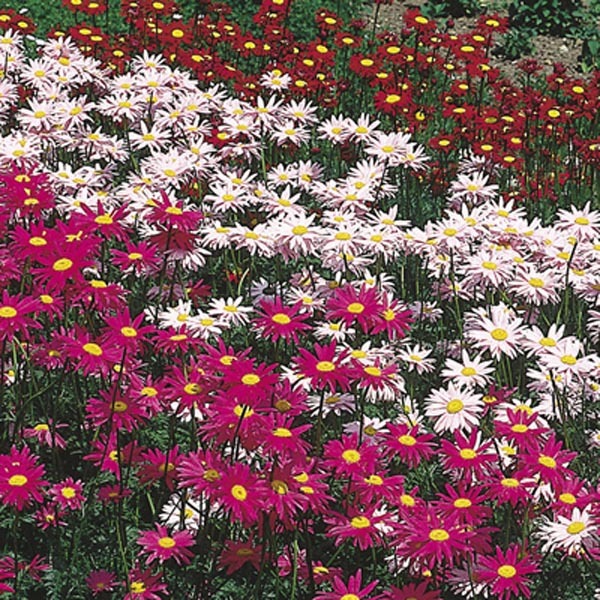 Ideal choice for beds, borders, and cutting gardens. Cut flowers are long-lasting in fresh bouquets. Perfect for all kinds of containers. Very easy to grow in virtually any location. Adapts to most soil types. Prefers light, sandy soil. Allow soil to dry between thorough waterings. Remove faded flowers for best display.